Introducing our largest portable sprinkler sled model....the Jumbo Sled! This sled base is laser cut from 1/4" thick steel plate, custom formed and powder coated to provide the most sleek and durable sprinkler base on the market. Each component in this assembly is a quality selection including the heavy steel water path components, heavy brass garden hose connection fittings, and the all new Jumbo sprinkler with nozzle set allowing flow ranges from 3 to 16 gallons per minute. 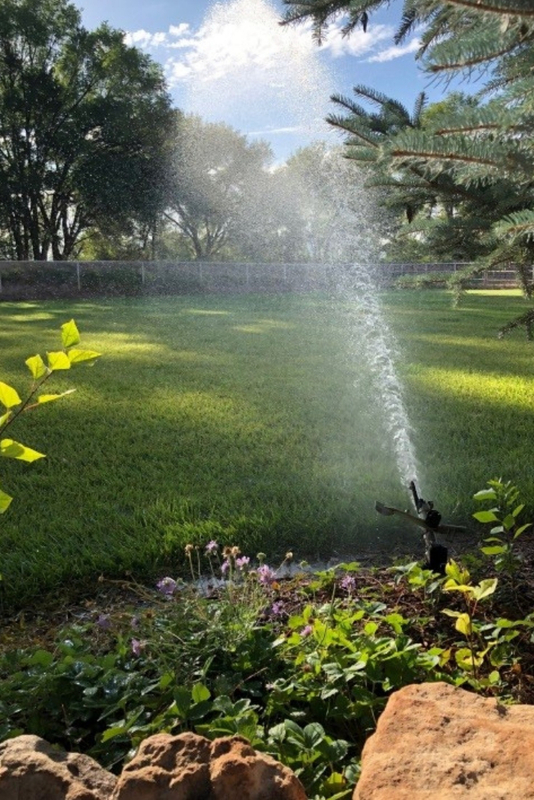 The Jumbo sprinkler features an adjustable jet stream breaker for changing stream pattern and can be operated in full circle mode or part circle mode by simply adjusting the part circle tabs at the base of the sprinkler. This is another quality sprinkler constructed from a cast aluminum body with brass drive arm and brass lower turning union. We wanted to build the best sled base sprinkler on the market and we believe we have succeeded! Built heavy to withstand years of use, the total weight of this product is 11 pounds. The Jumbo sled dwarfs most store-bought sprinklers standing almost 12 inches tall with a 10 inch wide and 11 inch long thick steel base. The Jumbo sled also features a unique Flow Through base design allowing multiple sled bases to be connected in series! Also, see our Jumbo 2 pack sled kit that includes 2 Jumbo sled bases and a 50 foot full 3/4" diameter professional grade garden hose to connect both sled bases in series for maximum coverage! Let’s put our collective hands together and give Mike Lenroot a round of applause. He took the contest-winning photo above in Pocatello, Idaho. With the solid peaks in the background, the softness of flowers in the foreground, and all the vibrant colors, it simply stood out among the entries as the best. We were pretty excited about the 1250K Wheeled Sprinkler Cart, too. In July, as part of our celebration of Irrigation Month, we announced our 6th Annual Photo Contest. As you might guess, It’s one of our favorite events each year. Why, you ask? 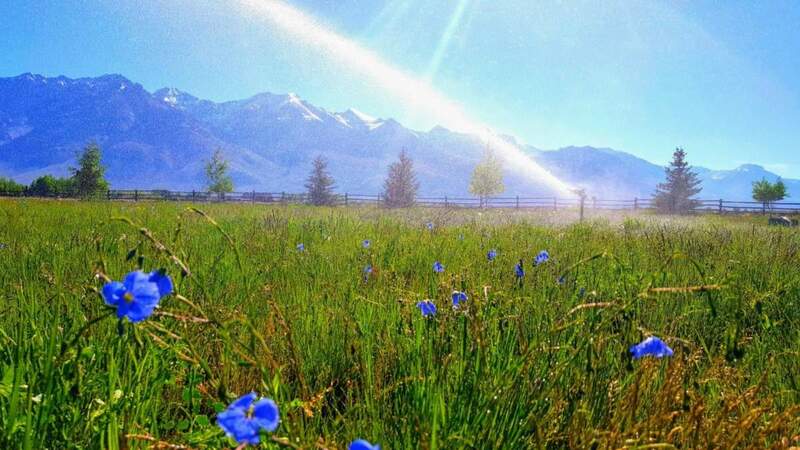 We finally get to see the incredible landscapes our irrigation solutions help create and maintain. Photographers could submit as many entries as they wanted and Big Sprinkler’s social media fans chose the winners in each category. Everyone who entered received a coupon for 10 percent off their next purchase at bigsprinkler.com, but category winners took home a free Jumbo Sled Base Sprinkler. Once all the individual category winners were chosen and announced, we looked through them all and picked the overall winners. When Mike won first place, he was awarded $750 in cash. Second Place won $500 in Big Sprinkler bucks to be used on anything found in our store. The third-place winner took home a free 1000F Sprinkler Cart. We enjoy the lushness you can almost feel in the second-place photo captured by Greg Sanchez in Peralta, New Mexico. His Sime Funny Sprinkler Head keeps all his plants growing and green. 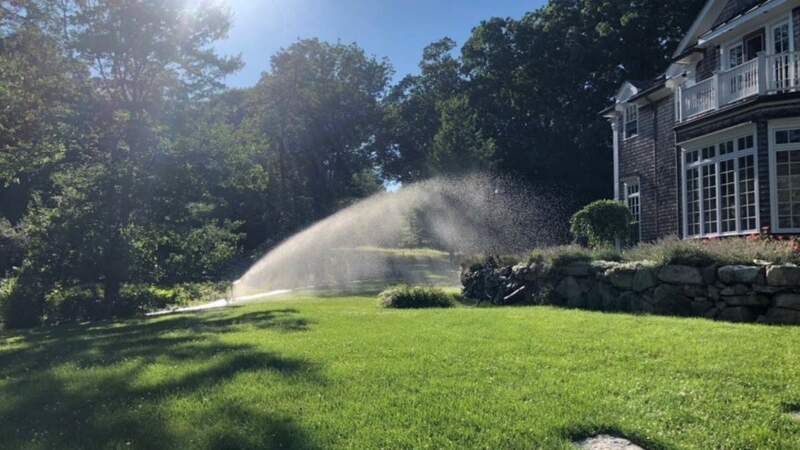 The full coverage of the 1000F Wheeled Sprinkler Cart is evident in the third place photo taken by Thomas Littauer in Cohasset, Massachusetts. Whether you’re good at finding just the right moment to snap a picture or you have a passion for photography, don’t miss out on the prizes next year. Get on the list to receive our email newsletter and you’ll be among the first to know when we kick off the next contest. In the meantime, connect with us through social media and share how your sprinklers are impacting you.